Quickly schedule or amend courses with re-usable course templates. 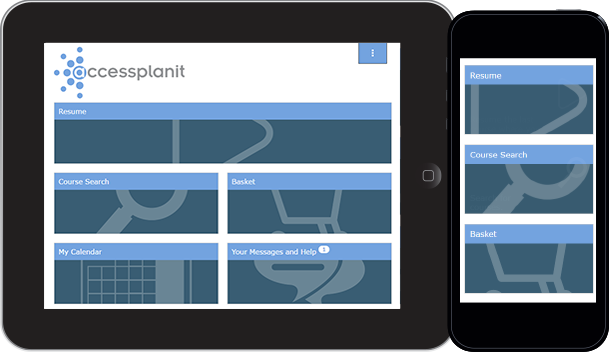 Manage cancellations, transfers and waiting lists, and automate all course documentation and communications with the touch of a button, using accessplanit's intuitive training management system. A training management system will help you easily coordinate the resources you need, automate communications to your venues, trainers and learners and provide a My Teaching area for your trainers, tutors and associates for a chaos-free training event. Easy-to-use finance and invoicing tools within the training management software, makes it simple for you to take control of all money matters. Explore automated invoicing, promotional pricing and accept payments in multiple currencies. Let the powerful Workflow Engine do the hard work for you. Set your rules and triggers, and Workflows will automate all communications from emails and booking confirmations to task reminders. No more data duplication, no more manual processes; just one simple training management system. Capture new sales prospects and engage with existing delegates, with tailored, targeted marketing campaigns. 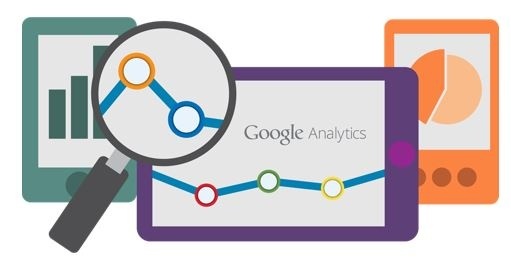 Then measure your performance with fully system integrated, Google Analytics. Power up your sales pipeline with comprehensive customer data capture. 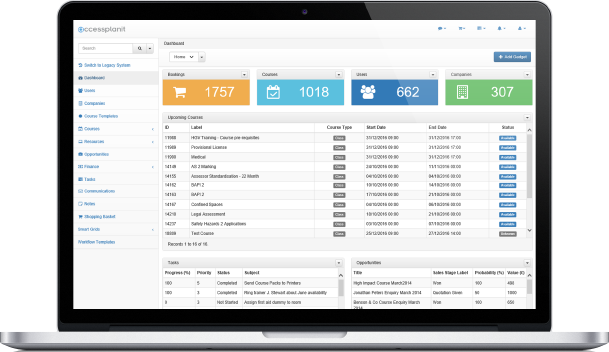 Track everything within your training management system, from past course attendance to communications history, to deliver a service that's always focused on your delegates. Discover unparalleled insights into your business with intelligent system reporting tools. 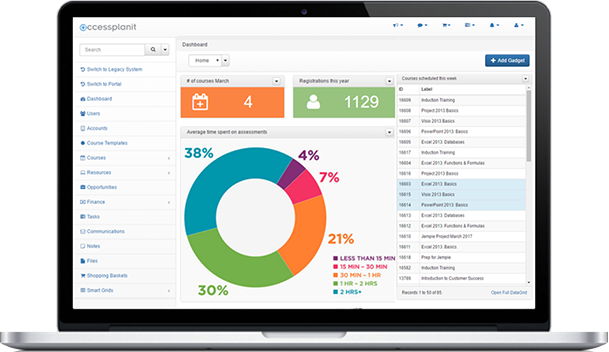 You'll receive real-time facts, stats and potential skills and compliance gaps at a glance. 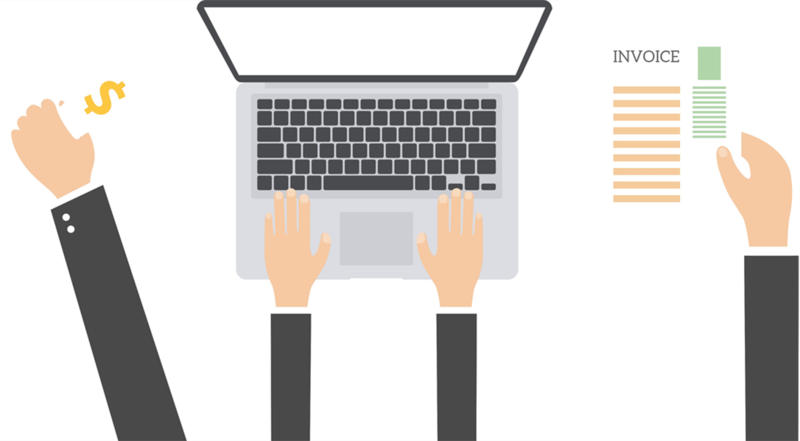 All the data you need to grow your training business. 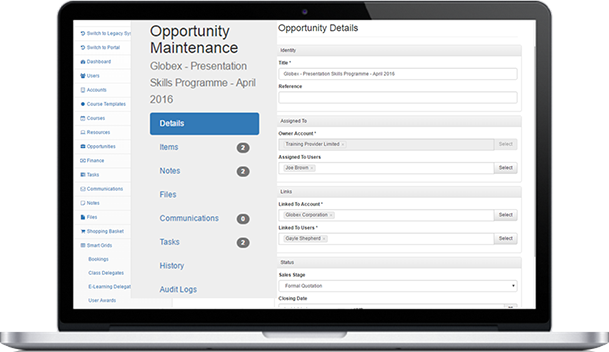 Our training management software offers 24/7 online course booking and payment, so now your learners can instantly book and pay for training. Live course availability means your website is always up-to-date with your latest course offerings. The easy way to keep your learners trained and compliant at all times. Track and assess progress; provide access to training materials and learner portals, as well as automating interactions. 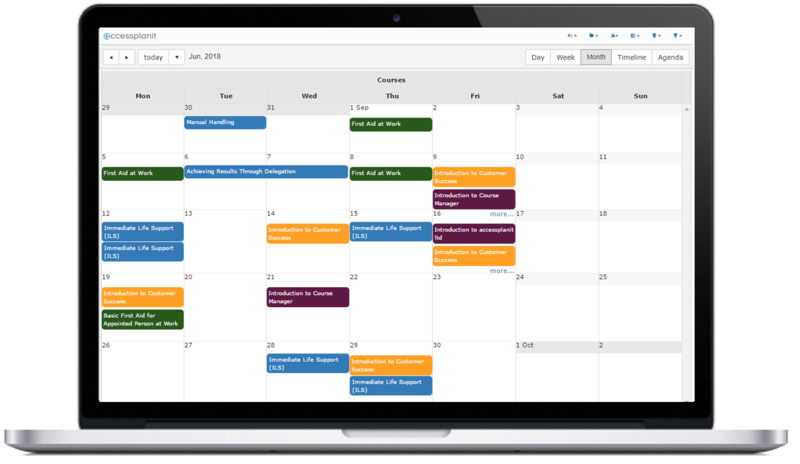 With complete task management, you can see at a glance where projects stand and what is outstanding. 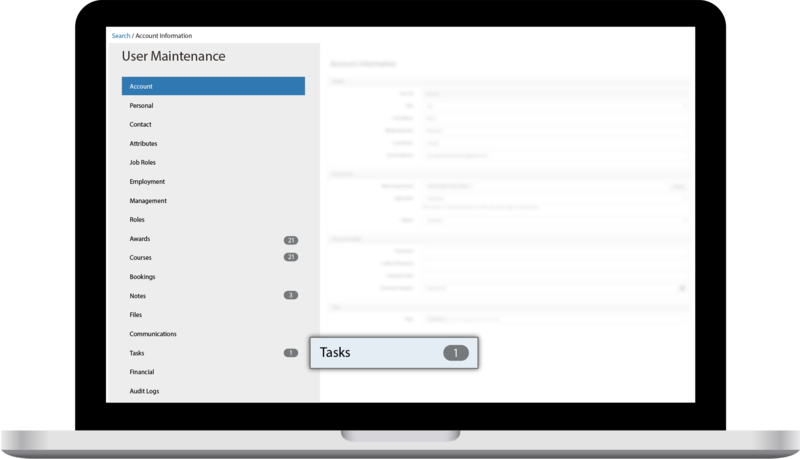 Harness the power of the Workflow Engine to set up automatic tasks for any user, based on the rules you define within the training management system; meaning nothing falls through the cracks. We have increased our client base by 200% and have been able to cope with this as a result of implementing a more efficient system. accessplanit has assisted us in our strategy to grow our business. accessplanit has enabled us to reduce administration by 50% and increase our profits year on year.